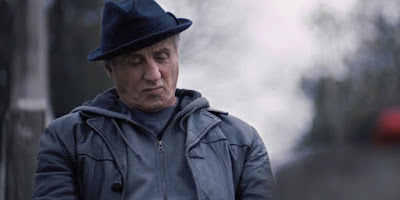 When we think of boxing movies, Hell, sports movies in general, it's Sylvester Stallone's Rocky that immediately springs to mind. The underdog fighter is more than just some character in a movie, he's become an icon that has transcended film. That statue of Rocky Balboa standing in Philly is there for a reason, folks. Perhaps more than any other character, Rocky has defined Stallone's career and helped keep it alive all of these years. And now with the release of Creed II, Stallone has decided it's time to hang up the gloves for good. I'm not going to go into the details of Creed II's plot that help inform this announcement by Stallone, but suffice it to say that Adonis Creed and Rocky Balboa get the chance to heal old wounds and cement their legacies. It's a well-earned farewell for Rocky and the start of a new chapter for the Creed franchise.